Before getting into this audiobook review, I have to note that the 3-Star rating is actually an average. That average is generated from my review of the novel as two distinct halves: the first half, which felt immensely disorganized, and the second half, where the story finally seemed to find its footing. The story held great promise. The year is 1717, and the location is the Swedish Lapland. Maija and her family have relocated to the rough wilderness, having just moved from their native Finland. Maija is accompanied by her fearful husband Paavo (he eventually leaves the story to look for work, thankfully, because I found him tiresome), and her sweet and sharp daughters Frederika and Dorotea. Upon their arrival, they all gape at the Blackåsen mountain before them, which casts their new (small) community in a distinct and menacing shadow. Almost as soon as the family settles in, Maija’s daughters happen upon the grisly remains of one of the local settlers. Their neighbor Eriksson’s mutilated body sends the girls running for their parents, and this is where the story is supposed to gain some steam. Maija, an Earth Woman who is immensely bright, needs to get to the bottom of what is clearly a murder. She can’t comprehend the other settlers’ apprehension over her search, and the only one who seems to encourage her curiosity is their local priest. As Maija begins to unravel the secrets and startling betrayals of this community, her eldest daughter Frederika starts to feel the pull of the dark mountain. Frederika launches her own search, and starts to embrace the slightly supernatural turmoil that more frequently spirals around her. I don’t think that I’ll be spoiling the story by saying that the girl can see ghosts in all their angry splendor, and this trait (an other-worldly talent that she comes by honestly) is probably the most interesting aspect of the book. Will the family make it to Spring, even with Paavo’s absence? Will the community allow itself to continue a long tradition of fear mongering, betrayal and intrigue? Will winter, and the wolves that charge at Maija’s legs when she ventures outside, permit anyone to make it out alive? Ideally, this is a murder mystery that has enough depth to keep a reader up until the wee hours. Unfortunately, the story immediately gets tangled in its own plot, and doesn’t seem to manage to find traction until the halfway point. I’m afraid that if this story had continued down the murky path of the first half, the review would have remained at 2 Stars. While the characters were clearly drawn and the back story that was provided was critical to the plot, the story itself meandered in too many directions. On more than one occasion, I found myself as lost as the snow-laden protagonists. Moments like these were when I would wonder if the story would ever secure a proper direction. Was this a murder mystery? A witch hunt? A battle of wits between mother and daughter? A tale of magic and beating mystical drums? Was this book about the journey, or the actual discovery? As I grappled with these questions, I became frustrated. I confessed to Hoarder Penny that while I was anxious to love the book, I found my patience to be waning. I couldn’t wait for the story’s tread to hit the road. At the very moment when the pages of this book seemed to be swirling around in a hurricane, they settled. The story suddenly pivoted, and charged forward in a breathless direction. Gone were the red herrings and side notes, and the plot began to propel forward with a more focused momentum. With a much clearer picture of Maija and Frederika on hand, Wolf Winter started to live up to its promise. I love a story with strong female leads, and this novel offered not one, but two (actually, you could count 6-year old Dorotea as a strong character as well, but her mother and her older sister certainly stole the thunder). Maija was simultaneously running from the past and trying to fix the future. Frederika was grappling with new found spiritual skills, and encouraging her mother to embrace their gifted heritage. Each character had their demons. Each character was working toward enlightenment. Accompanying Maija and Frederika on these journeys was by far my favorite part of the book. I loved Maija’s strength and tenacity, and I could not get enough of Frederika’s wisdom, which was wonderfully strong for someone in her early teen years. Once Maija and Frederika were set on their courses, the story permitted the reader to settle in and enjoy. The mystery evolved, and the some of the characters’ dark intentions were revealed. The priest wound up endearing himself more than I had anticipated, and Maija displayed more courage than even the strongest of the community’s settlers. While I have to confess that I had guessed what was actually going on quite early in the book, the novel did culminate into a clever and memorable end. 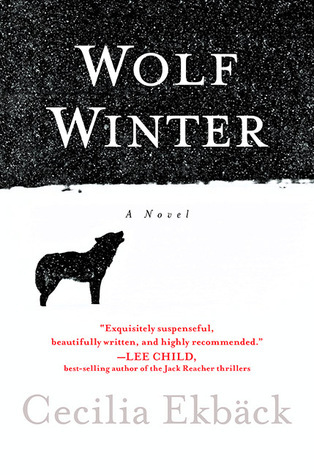 Overall, Wolf Winter was a good read that would have been terrific had the first half been more like the second. Hence, a averaged review of 3 Stars from this Hoarder. This audiobook was narrated by Alyssa Bresnahan. She read the story with a very controlled tone, which (in my opinion) worked well in some cases, but not in others. The more dire portions of the novel seemed to be narrated with the same level of emotion as the quieter ones, which did not seem to fit. However, I would be remiss if I did not note that this cool demeanor worked perfectly during those times when Maija was doing everything in her power to remain rational (in the face of impossible odds). In that sense, Bresnahan represented the protagonist beautifully.